Can we quantify the extent of research that a person should go for prior to the decision for a transplantation procedure? And is all research result yielding? The major purpose of a cosmetic surgery would be for an individual to have an enhanced look. The earlier one receives a better look, the better. But there are a fair amount of people who research for years altogether regarding the procedure to be done. Sometimes, by the time they get their look change, their age has advanced and they don't really get to enjoy their new hair for most part of their prime. Is it indecisiveness, fear of dishonesty or lack of confidence in the industry in general, apart from the financial and time investment, that they get to have such a long period of rigorous researching? It is obvious that getting the correct surgeon is necessary but how much of a research is really required? And is it more beneficial to invest more time at a single stretch of time for the procedure? Or is it better to keep researching for a longer period of time, all the whole enduring the reasons that the person is researching transplant in the first place? With the amount of information on the internet and otherwise, it could become overwhelming for a patient to go through with the procedure. However, is there a noble requirement for a cosmetic procedure for certain individuals rather than a compulsion of vanity? Some researchers are spread across a decade. Does that desire to get the procedure done really last that long? Or does it fade with the time spendlt researching? And does this fact bring about a bitter experience to people? It is a very materialistic phenomenon - this hair transplant. It does not give instant gratification and requires such patience in part of the individuals going through it. The procedure itself, the growth spurt, the wait for density and the shedding period - such a hassle! And if individuals do wait for a long period of time to just decide whether to opt for the procedure and more importantly with which doctor, does it leave them exasperated? This topic is only for a discussion and I have the utmost respect for all hair transplant patients. I myself have undergone hair transplant. Is it a possibility that patients who go for multiple hair transplant procedures even after having a good coverage on their scalp, have a tendency to develop or are experiencing body dysmorphic disorder? I have always found it intriguing that as a Counsellor, is it more ethical to try and understand where this need for little tweaks and top ups come from? Patients who actually have a visible requirement for the procedure have the obvious reason to opt for the procedure. But at the same time, there are patients who want to take it a notch higher by getting a little bit done here and again go for more sometime later. Sometimes I see patients who look gorgeous with the hair they have. And their hairlines are so perfect (according to me) but they, however, feel otherwise. It can get downright offensive if I tell them directly that they seem to have the perceived stigma in their mind. It becomes difficult to understand why an already beautiful growth - which does not cause any physical pain, distress or embarrassment, would drive the individual to enhance it further. As a Counsellor, it is always on the back of my mind that "isn't it the correct thing to try and help the patient find self-acceptance" first? I am of the principle that the patient is taking away happiness and peace when they get a procedure done. However, is it possible if the patient will not be satisfied and if they have an ongoing dissatisfaction and resentment towards themselves? It is the best thing to do if a patient has a superficial motive to enhance or regain their look by counter attacking baldness. But here are patients who never stop at the surgeries. The procedures keep piling up. They endure the investment of finances, limited donor and all the hassle of getting the procedures done. Do you all, as patients for hair transplantation, feel that maybe we could also be looking at situations where people might need more than just a look change? And that era.might need to change something much more than just the outer appearance for them? With all respect to anyone who reads. This patient is a 54 YO male who presented with stabilized crown thinning, not on preventative medical therapy. Plan is to reconstruct the crown and add some density to the posterior midscalp. Total FU Grafts: 1576: 285 one's; 954 two's; 337 three's. Last two photos illustrate typical donor closure result utilizing simple plastics closure. Hi Guys, Last August, I had a hair transplantation at Dr. Ilhan Serdaroglu's Clinic, Istanbul. The open area on my head was wide so he advised me two session. I was glad with the first session. 3300 grafts. I had no aches or pain during or after the operation. To be honest, I just felt a little pain during the anasthesia at the beginning of the operation and that's all. Therefore I decided upon the second session, 2800 grafts. I have just undergone the second session for a few days. With this session he worked on the vertex mostly. I strongly advice you to meet Dr. Ilhan Serdaroglu before you decide HT. Here are some of my photos. Before the HT, after the I. session, II. session. Highly recommend Dr. summet jaiswal for hair transplant in Raipur, Chhattisgarh. I highly recommend Dr. summet for hair transplant in Raipur, Chhattisgarh. I spent several months debating if I wanted to do a hair transplant. I casually did research online; reviewing techniques, risks, testaments, options, clinics, costs, doctors and hype. Most hair transplant doctors, including Dr. summet, have free consultation. Over five weeks I consulted with three different clinics/doctors from my online research. One clinic/doctor seemed like a mill. Bring-em-in and pump them out. Very un-personable. Another clinic/doctor reminded me of a used-car sales person. He was telling me how great his work was and how happy I would be with the results, but he did not listen to my questions or gauge my apprehension. The consultation with Dr. summet was very comfortable. First of all the clinic is very modern, tasteful and clean. The staff was very professional, but pleasant and comfortable. Dr. summet, for my consultation, did not rush me. Of course I was nervous and tentative, but Dr. summet explained my options, we discussed risks, what to expect on the day of the procedure and the days, weeks and month afterwards. One delicate concern that I had was if people would notice the procedure because it looked un-natural or obvious. Dr. summet essentially drew on me where the hair would go and the density. Additionally, he showed me pictures of other transplants that he has done. There was no drama, just two people talking. Regarding costs, he drew me my options and relative costs. He did not pressure me into any decision, but I was comfortable in that he answered all my questions, and after some pondering I decided to schedule the hair transplant. On the day of the transplant, I arrived early in the morning, for my six hour procedure. The procedure room was quite large, extremely clean, and very comfortable. Dr. summet and the Technician explained what to expect. I was given a local, there was no pain and I dowsed over the next few hours. Dr. summet had very clearly explained what would go on during and after the transplant, both at the consultation and before and after the procedure. What he told me was spot-on to what I went through. The donor area had to be cleaned regularly, the redness of where the new hair was disappeared after four to six days. The swelling came down much sooner. There was some light scabbing around where the hair was transplanted and that lasted about two weeks. I actually went to work a week after the procedure and no one could really notice the change. The biggest discomfort was trying not to sleep on the transplanted area for a week or so and the tenderness where the donor hair came from. During the follow-up visit, in the waiting room, other customers were really impressed on how good and natural the transplants looked. Needless to say, I am very pleased with the results and the whole experience. Dr. summet did not hide anything from me and the whole event went just as he explained. Overall a positive experience and money well spent. Intro to pre-op situation I’m 26 old male that has a hair loss problem since I was 20 years old. My hair loss is genetic. My male part of the family has it. Usually we bald from the temples and to be more descriptive we are 3A on the Norwood scale. This begun to be a problem for me in the last couple of years. All around my head I have had a thick set of hair but in front there was very little of it. So this motivated me to seek help/advice online. After finding this forum I decided to go through all possible solutions offered here. But anyways after some time of reading I was drawn to FUE as a more permanent and natural solution, so I started browsing different doctors and seeing different results. So this is a big thank you to all members who stepped forward and shared their results and experiences with us. I concluded very fast that right now Turkey is a hot spot for FUE procedures so I advanced to the next stage to find my doctor. 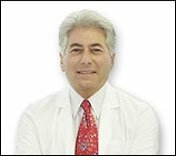 After intensive reading and searching I came across 3 FUE doctors that are mostly mentioned here. All 3 have great results BUT I decided to go with Dr. Erkan Demirsoy. My decision was motivated by an excellent result that the doctor had with one German patient that had similar hair loss to mine and a similar graft count. So I decided to get in touch with Dr. Demirsoys office. I sent email and the very next day I got a response from Dr. Demirsoys assistant Muzaffer. Here I have to mention that you can write email to the official email address left on the web site. The email is checked every day and you will get a very fast answer. That happened to me. I think already the next day I got message from Muzaffer. So I will try to sum up our email conversation into couple of lines. So first off we started with some general information about the cost of the procedure. Than I send pictures from my current status. After that I got email and this time the doctor was interested in my family hair loss profile, so we went in deep with that. From here I was able to conclude how interested the doctor is in his patients. He will always ask you about your family profile and explain if what you are asking is realistic, but later on that. I had a lot of questions for Muzaffer and he managed to answer all of them which was very affirming that Muzaffer and Dr. Demirsoy are very professional and carrying persons. So after exchanging bunch of email letters, and seeing the results from Dr. Demirsoy I was convinced that there is no better doctor that can take care of my hair loss situation. Later as you will see, I was right. Muzaffer took care of my transportation from bus station, hotel and hospital. A deposit of 500 EUR was payed through Western Union so that I can reserve the date for the procedure. So let’s sum up the financial part up until here: 50 EUR return bus ticket, 140 EUR transportation (bus station, hotel, hospital… - you can take care of the transportation yourself if you want, I chose to go with Muzaffers offer and it was more than a good offer) 500 EUR Deposit for date reservation Day 1 (Sunday) I arrived at the bus station in Istanbul. My bus was 1.5 hours late but still I kept in communication with Muzaffer through SMS messages and as agreed the driver was waiting me on the bus station. I wanted to come a day early so that I can see the city before the procedure, and take some rest from the road. Istanbul is one of the most beautiful cities out there, so take your time and see everything there is to be seen in this magnificent city - before the procedure. I have to write at least a line about the hotel I was staying in, so that you don’t make any mistakes that I made. The hotel was great but it was far away from the doctors office. Anyways the only thing that bothered me is that in my hotel (that I booked via booking.com) did not have any FUE patients. So that made me a little uncomfortable around the people there. So please do ask Muzaffer or any other official person from Armamed to recommend a FUE friendly hotel. Do not book like I did without doing the research. Also it would have been nice to have a FUE friend like me there, but I didn’t had that so please do a research before booking. Day 2 (Monday – day of procedure) The day started very early at around 6:15 Istanbul time. I finally get to meet Muzaffer in person. He was standing in front of my hotel waiting for me to come down. There is no way to describe Muzaffer in one paragraph or even couple of pages of this review. This guy was the most awesome, nice, professional, kind, knowledgeable person that loves his job. He speaks Turkish, German and English fluently so you will have no problem with communication. He took care of everything. So this is a very big thank you to Muzaffer. We drove to the hospital and that is where I had the pleasure to meet Dr. Demirsoy. While waiting I had lunch and a very informative talk with Muzaffer. The doctor came, we talked a little bit and me and Muzaffer went into the office to get me ready for the procedure. Before everything started, Muzaffer showed additional images form their patients (that were not published online), talked a little bit more, and I had to sign the agreement (pretty usual stuff, that you will sign before any medical procedure) which Im not going to explain here-if you are interested you can read it yourself. After that the doctor came and we started to talk about graft count, density, and most importantly the new hair line. So I have seen results from Dr. Demirsoy and I just left all up to him. He asked me about the hair line, but I had 100% confidence in this doctor that I left him to design and draw it. It was perfect, I accepted it immediately, and we were good to go. The staff there was also awesome. I changed my clothes (please wear something comfortable because you will be laying there for 6-7 hours – give or take depending on the graft count). After changing, the nurses shaved my head and everything was ready. The first step is the extraction process from donor area. This step is done by Dr. Demirsoy himself. Now I have to write a line or two about the anesthetic. It wasn’t painful. Maybe the first one, but not the others. After the anesthetic kicked in the doctor started the extraction. What can I say, he was very careful, making sure that he used the right angle and what not. He would usually do couple of punches and if needed recalculated parameters so that he don’t hurt any graft and extract the right grafts perfectly. It was amazing. It was done very professional with a lot of care. I didn’t feel anything, in fact I was even able to sleep . The extraction of the grafts took couple of hours. After that was done we made a little break. I was offered to eat and the doctor and the team did the same also. In this situation I would suggest to try something traditional. After 30 minutes of break, we continued. I was extracted 2708 grafts. Most of them were having 2, 3 hair strands. We agreed that this was a good number. The second step is making holes for the grafts to be implanted. Again Dr. Demirsoy did the holes. Again he was working very carefully – meaning that he was thinking the angle, position and the depth of the graft. This step took around 1.5 hours. In order to not feel anything anesthetics were injected in my recipient area. The first one hurt a little. After the holes were made it was time to implant the new grafts. This procedure was done by the trained nurses. When I asked about them, the doctor and Muzaffer told me that they had around 15 years of experience in this area, so I was very comfortable. One nurse did my left side and the other did the right side. Since the holes were already made all they did is just put in the grafts. I have to say that I was very satisfied how Dr. Demirsoy placed the holes. It looked very natural. This step took more than 2 hours. While working I started feeling some pain, so additional dosage of anesthetics were injected. After that the nurses continued to work without any problem. They were very nice and friendly. They don’t speak English but we were able to communicate through Muzaffer, who was present throughout the whole procedure. After they finished the work I was able to get up and see the current result. I had a swelling but that was normal and expected. So here are the rules about the swelling: You will wear a bandage when you leave the hospital the first day. On the second you will be given bandage like accessory to wear under the swelling areas. YOU HAVE to wear it in the next 2-3 days, otherwise your swelling will come down to your face and eyes and it will be very unpleasant. After the informative talk I was ready to go in my hotel. Oh and I have to say that you will pay for the transportation and operation on this day (day of the procedure). If you pay cash you will pay the amount of implanted grafts. If you pay with credit card you will have to pay tax also (it was around 20% or 28% I don’t remember). So I was transported back to my hotel by Muzaffer. Day 3 (first day after procedure – washing day) OK so the next day you are picked again from the hotel. This is the day when the bandage comes off and the first wash is performed by Dr. Demirsoys staff. This is a MUST. You cannot leave the city before the first wash. After the first wash you will be able to go home. Again we went to the hospital and the bandage came off. The nurse washed my hair, and we talked a little bit about the outcome. I have to say that I didn’t feel any pain the previous day when I was in the hotel, but just in case you will be given antibiotics and pain killers that you can use in case you feel some pain. Well I didn’t and I used only the antibiotics. After the hair wash you are good to go home. But before that the doctor took some pictures and burned them to CD. We talked for a while and he did a close inspection of the donor and recipient area. There is one thing that I have to mention that happen to me after the first day. I got sick to my stomach from the antibiotics. I have to say that this a common side effect. So I felt sick 10 minutes after I took the antibiotics. I told this to the doctor and instead of antibiotics he gave me antiseptic cream and antibiotic cream to put on my recipient area, which worked very well. Day 4 (first day after the hair wash) So after the hair wash you are able to go home. The doctor will give you information about how to treat the donor and recipient area. So from now on you have to moisturize and wash with special shampoo that you will receive from the doctor’s office. Any questions that you might have can be answered by his assistant Muzaffer. Even though Muzaffer is not included into the procedure (he is Dr. Demirsoys assistant, that does everything but the procedure) he has amazing knowledge about HT procedures. So we are talking about a person who knows his job, and loves his job very much. It is always a pleasure to talk to Muzaffer, since it felt like talking to a close friend most of the time. On this day I tried to wash my hair for the very first time. As per usual I’m no good in situations like this. I was very much afraid that I did something wrong. So I messaged Muzzafer about my situation and he agreed once again to help me. This is when I decided to stay in Istanbul until I’m sure that the grafts are secured to my head. Muzaffer and the doctor told me right away that I can stay in Istanbul and they will help me with my everyday hair wash. It was awesome. So I decided to stay. So from day 4 to day 8 I was in the hospital every day (except for Sunday) where the hair wash was performed. In a meanwhile I got to know better Muzaffer and Dr. Demirsoy. They are amazing people to be around. Very genuine, honest and just good people who cares about their patients very much. You will feel like you are a VIP person. I’ve been all over Europe and I have never had a treatment like this. I even got the chance to meet 2 of the doctors good friends. They told me a lot about him, everything nice, how good he is at what he is doing. While waiting I also had the chance to meet some new clients who were in Armamed for evaluation and consultation with the doctor. Day 8 (scab removing) The basic rule is that after 7 days hairs are firmly secured. Another rule is that if you see a bleeding from some grafts chances are you have pulled them out, if not there is no reason to panic. So up until day 7 you have to take a good care for the grafts. So on day 9 I was able to remove it. Again the instructions says that after day 6-7 you will moisturize the recipient area on every 2-3 hours. This makes the scabs soft and ready to be removed. So on day 8 the nurse managed to take off my scabs. For the first time I can see how my head and hair looked like without scabs and dark places. The redness was present but because of my skin tone, it wasn’t very visible. This is the last day that I saw Muzaffer and Dr. Demirsoy. After that we said our goodbyes and promised to stay in touch. I cannot stress enough how thankful I am to those people. I am glad I chose Armamed and Dr. Demirsoy to perform the procedure. Now for all those who want to contact me, please do that. I will be checking all my messages and posts on this thread. I will do anything in my power to help you guys who seek advice on this topic. I will promote Dr. Demirsoy work everywhere because he genualy deserves it. Also this is a request to some of the admins here to try and check this doctor's offices and work to make sure he is the best that Turkey can offer. 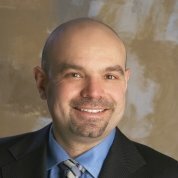 So this is a shout out to the admins here to think about recognizing and promote Dr. Demirsoys work here. Thank You all. P.S I will attache images from pre-op and post-op in next post. Will using adhesive/tape on scalp to attach hair wig affect success of hair transpla? I have a receding hairline. I have 2 bald areas in the front (just above the forehead). I am planning to take hair transplant surgery in 1 yr. Until then I plan on using a hair wig to cover the baldness in those areas. The wig will be attached to my skin with adhesive or tape. I will have to apply adhesive or tape on the skin where the transplant will be performed in the future. It will stay there for many hrs until I wash it at night(and again apply next morning) (applying adhesive looks like this: ) Will this "SEAL OFF"/"CLOG" the pores through which hair may grow in future/somehow make that area of scalp "UNHEALTHY" and thereby reduce success of hair transplantation in that area, in the future? Or is the hair transplantation preocedure completely unrelated to this and will not be affected by busing adhesive/tape on the scalp? thanks.. Patient is a 47 YO male with an initial presentation that featured severe bilateral recessions and loss of posterior frontal forelock with a diminished definition of the midline frontal hair line. He underwent a total transplantation of 5845 FU's over two procedures. His graft distribution included an unusually high proportion of three and four FU's, which adds to the total hair mass and cosmetic result. Hi, Friends i am getting my good looking back, hair transplant is good, now my natural hair is coming back slowly-slowly, i would like to thanks to Dezire Clinic and team. I have done my hair transplant in Pune center. Hi, Who knows Estetrip in Turkey? Who was there before? There are a lot of Reviews on their side and seems very proffesional. their Clinic and their doctor is perfect . I would like to get a Hair transplantation in Turkey there with my friend together, but I would like to get some of your opinions. Thanks in advance. This patient desired to have a thicker/fuller beard specifically within the goatee pattern. He is able to grow a beard at the cheek area, but always felt that the area around his chin was sparse. He also wanted to thicken up the mustache area. On examination, the patient’s scalp hair was thinner then his native beard hairs, but pretty good caliber. I discussed with him preoperatively that although I would be able to transplant into that area, the hairs would not be as thick and he may require more then one transplant to thicken the area up to meet his goals. The patient had 1573 grafts placed into the beard region centered in the chin area in the goatee pattern; several grafts were also placed in the superior portion of the mustache. The photographs are 8 months after the procedure where the hairs have been growing for a couple months. I expect it to certainly thicken up over the next year to fill in the area. At that time, we will reevaluate the results to determine if he would need additional grafts.